Would a Male Section fail everyone? The debate over the proposals continues. Two responses were published in the July issue to my letter querying how the proposed Male Psychology Section would achieve its aims. Both letters continue the myth that men as a class of people are disadvantaged and that – in Seager’s words – there is a ‘male gender blindness’ that pervades society. Seager provides no evidence to support this. Despite more women studying (and therefore investing in) psychology, the pay-off – in terms of who runs the BPS and who achieves professorial level etc. – is more likely to go to men (e.g. 80 per cent of BPS Presidents have been men). Astoundingly, Seager states ‘the male gender is the only class of people not covered within the formal structures of the BPS’. Forgetting that every other Section of the BPS includes work on and by men including the Psychology of Women and the Psychology of Sexualities Sections. Forgetting too that the BPS has no Section for BME people, the working class or ‘disabled people’. As men we just do not need any special attention for our needs to get on the agenda. Brown’s letter argues we should focus on ‘ordinary men’, for example those that work in the gig economy. Such attention is crucial, but what Brown calls ordinary others know as working class. And we know that to be working class – excluded from economic and cultural resources – is not exclusive to men. If Brown was serious about the dangers of the gig economy, deaths at work and homelessness she would join Psychologists for Social Change who rightfully recognise what is really driving these crises – successive cuts to a welfare system and low-paid, exploitative work. Brown further uses fathers who abandon their children as another example of a male disadvantage conveniently forgetting who it is men are abandoning: mothers left behind to lone parent and – because fathers do not only procreate sons – daughters too. Brown ignores both the WHO and research by Baptista showing that women and men have comparable rates of mental illness and that we don’t know how many homeless women there are. Brown argues we should drill down to facts but ignores the facts debunking male-as-victims myths mentioned in my last letter and elucidated at www.notomalepsych.wordpress.com. 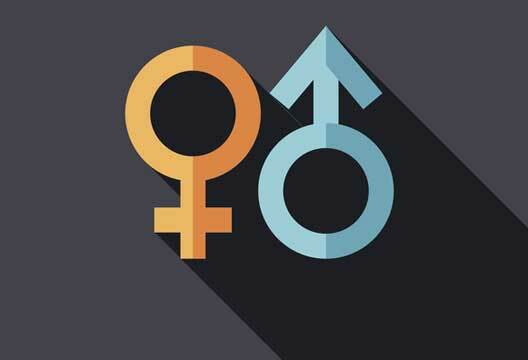 Both Seager and Brown also argue that regardless of whether or not men are advantaged as a class, they should still be allowed to self-organise as researchers interested in men. But which men are the researchers interested in? From what I have seen of the proposed Section’s research interests listed on their website they consistently ignore the most vulnerable men (BME men, gay, bi and trans men, working-class men). Ultimately there is a danger that our Society’s limited resources will be wasted on a Section that treats homelessness, workplace deaths and other urgent issues as caused not by austerity, exploitative labour, etc., but rather by being male. Such actions will fail the too many men and women suffering from these issues. …compete in the ‘disadvantage stakes’, but this is what Jankowski’s letter presses me to do. It is true that women are less present in the better paid, higher status areas of employment and they are under-represented in the field of politics. It is true that overall they are paid slightly less than men (although the differences are exaggerated by those with a feminist agenda). However, these areas of underrepresentation do not in general concern the vast majority of ordinary women who like myself (a carer) would not aspire to be in politics or high status employment. Our priority is our families and we appreciate the help we get from men to help us care for our families. While women earn slightly less than men (although they are paid the same for the same work) those who are married or partnered benefit from the incomes of their husbands. This means that while men earn more, women do more spending (estimated to be in the region of 70-80%). This suggests women earn less but have more control over resources. It is also the case that once tax has been deducted the take home pay levels of men and women are the same. If we turn to those areas of life which really impact on wellbeing – homelessness, health, education, longevity, death at work, overrepresentation in the prison system, the care system, in all these areas men are overrepresented. These are areas which really affect quality of life. Not whether we have a job in a boardroom or not. Jankowski talks about men abandoning women. Please can he provide statistics for this. I have never come across anecdotal evidence of husbands abandoning wives and the divorce statistics suggests that women divorce men more than the other way around. I recognise that women and men have comparable rates of mental illness – this forms part of the substance of my letter. And while we may not have clear figures on the numbers of homeless there are likely to be more men as women have priority in the housing system. We do have good figures on the number of rough sleepers and men are significantly overrepresented. This is not surprising given that rough sleeping women will take priority over rough sleeping men in access to accommodation. While I am entirely in favour of efforts to overcome exploitative workplace conditions and reduce welfare cuts, the current feminist agenda ignores the forces which are keeping women in poverty. The high rate of single parenthood is accounted for not by men abandoning women but by women choosing to go it alone as so many working class men are without education or employment and therefore represent an extra mouth to feed. Well off women are much more likely to be married and yet they push a feminist agenda which disadvantages men and thereby working class women. I don’t understand why Jankowski is so determined to deny men the attention that they need, but men and working class women suffer as a result. Very dissaponinted to read the letters from Mr Janowski on the subject Male Psychology Section and whole heartedly agree with Belinda Brown's comments in her reply. The assertions made by Janowski take a high handed and hugely misandristic view of the issues affecting many men today. One has only got to take time out to look at the feminist "Red Pill" documentary that debunks the belief that the patriarchy is soly to blame for womens place in society. Indeed following this up with a recent study regarding sexual offences by women against male and female victims are surprisingly common (https://digest.bps.org.uk/2017/07/11/sexual-offending-by-women-is-surpri...), patterns start to emerge. Therefore if we look beyond the bias of the media and feminist dogma there is a different story to tell that will need the BPS to lead the way and support. The evidence of male related issues goes on in terms domestic abuse (there is only one male domestic abuse refuge in the USA) where over 40% of domestic abuse victims are male. Coupled with male suicide, the family court biases and many more issues that go unnoticed, unreported & unresearched. Lastly, it is interesting how the media deals with male and female victims of crime and terrorism. For example the sad story of the 200 girls who were abucted in Nigeria a few years ago. There was huge media attention with governments around the world calling for their release and rightly so. However, no mention of the thousands of men and boys slaughtered under the collective heading of "villagers" killed and taken hostage. Therefore the bias of the media for many different reasons is there if we expose it. The points raised by Belinda above do not need to be repeated but need to be supported and I wholehearted support the proposal of a Male Psychology Section within the BPS.